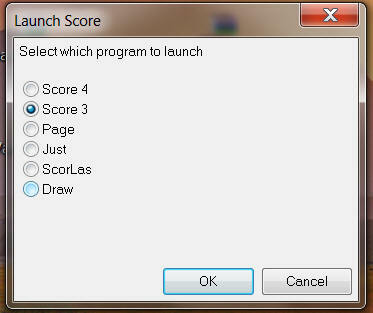 This macro launches the Score v. 3 program within ScorBox. In “score3-location.txt,” indicate the full path to the location of your Score v. 3 executable. In “score4-location.txt,” indicate the full path to the location of your Score v. 4 executable, if indeed you have version 4 of Score. 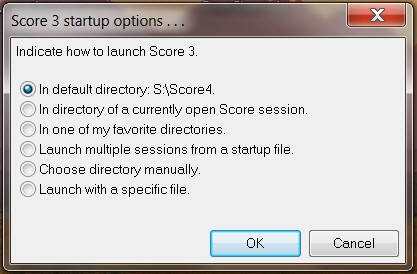 If you do not, then place the same path into this file as you did into your “score3-location.txt” file, but do not delete or discard this file just because you don’t have version 4 of Score. 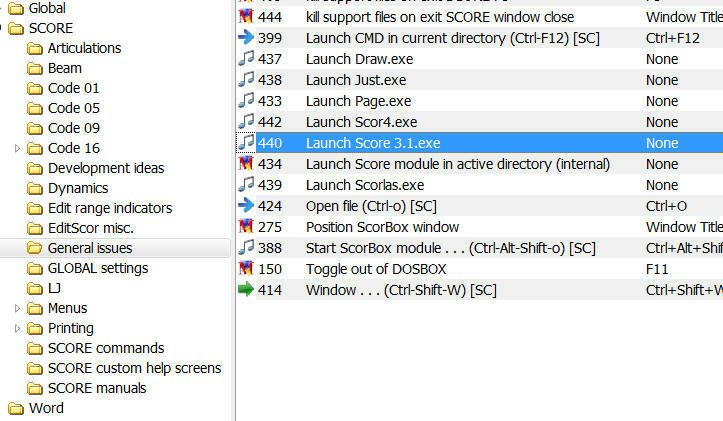 To view a video illustrating the ScorBox launch pad and the launching of Score v. 3 executable, go to the “Start ScorBox module” page.